Tis the season for tradeshows. 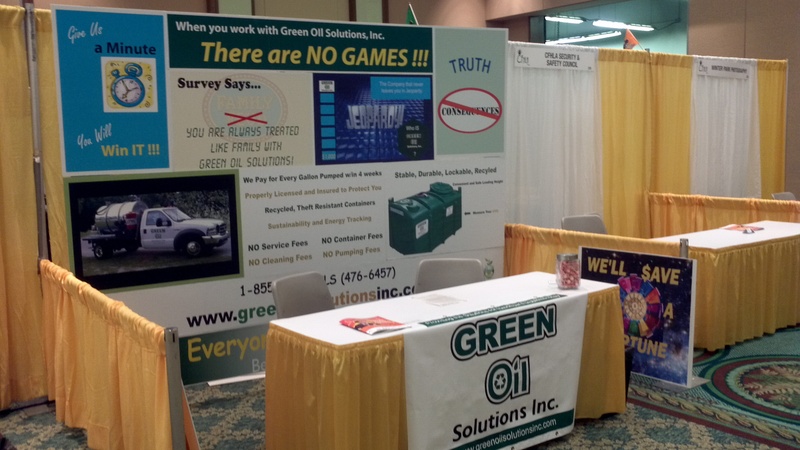 Green Oil Solutions has been fortunate enough to dip our feet into the pool of tradeshow exposure. This is not for the super-tight budgeted company struggling to pay their bills. Nope, this is for the company that has strategic goals and costs in mind. A company should be really sure of the benefit they are aiming to receive because once booth entry, booth decoration, travel, materials and supplies, and labor is calculated shows are an expensive endeavor. I suggest a working budget before hand with a good deal of research on the show and its anticipated attendees. Who cares what the industry is or who else is exhibiting? So, long as your target market is going to be there in concentrated numbers. Normally you will discover your demographics within your industry set or a related one. 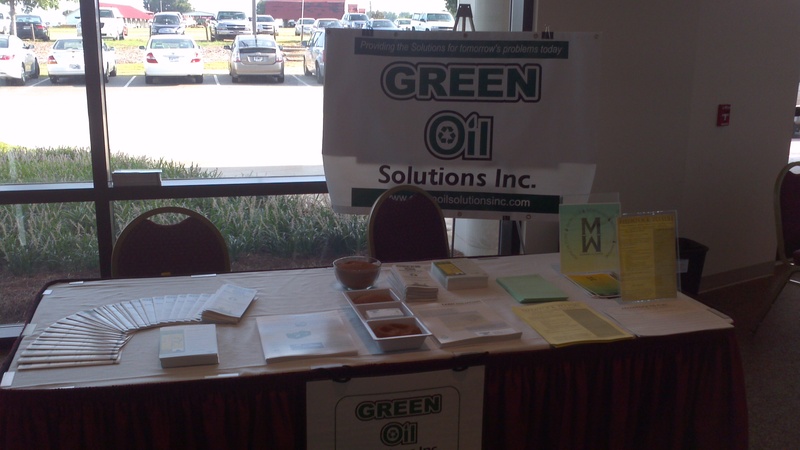 GOS exhibited at its first show in Tifton, GA – The Southeastern Bioenergy Conference. The second was for the Central Florida Hotel and Lodging Association yesterday. Two very different shows with very different goals. As an alternative feedstock company we end up with a diverse set of potential business associates. Currently our company is concentrating on two different types of feedstock. One is recycling used vegetable oil (UVO) and one is developing Energy Crops. The UVO recycling side is somewhat established and already has a years of working knowledge and clients. The Energy Crop side is just coming out of the planning stages and is not only an infant to us, but really a brand new industry. Both shows ended up being about the same costs for different reasons. CFHLA was local so it eliminated lots of travel expense, but it required more in booth preparation and overall image. We could get away with simply hanging a banner and putting literature on the table in Tifton. That was definitely not the case for Orlando. Both required special printing jobs, but those materials will be used year round and with other projects. At the CFHLA show GOS concentrated on re-enforcing our market presence and direct time with potential large accounts that were to some degree pre-identified in the market. We also limited our broadcast to the specific activity of UVO recycling. In Tifton, the SouthEastern BioEnergy Conference was utilized as an introduction for our Energy Crop program. The goal at that show was to announce our interest in exploring possible business relationships and finding collaboration. We also wanted to highlight the crop we see as the next solution, Camelina. UVO was barely mentioned at the show. Both shows were estimated to be successes in that they accomplished their stated goals. Of course, weaknesses and areas for improvement were revealed in both venues. The next challenge will be balancing a show that highlights UVO and Energy Crops equally providing the full picture of our alternative feedstock company. Green Oil Solutions will have that opportunity in the next couple of months. ← Why the US Green Chamber?